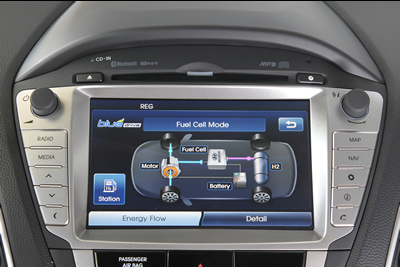 Production of the Hyundai ix35 Fuel Cell began at the company's Ulsan manufacturing plant in Korea on 22 December 2012. 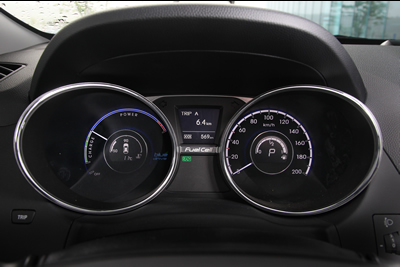 The first complete car rolled off the assembly line on 26 February 2013. 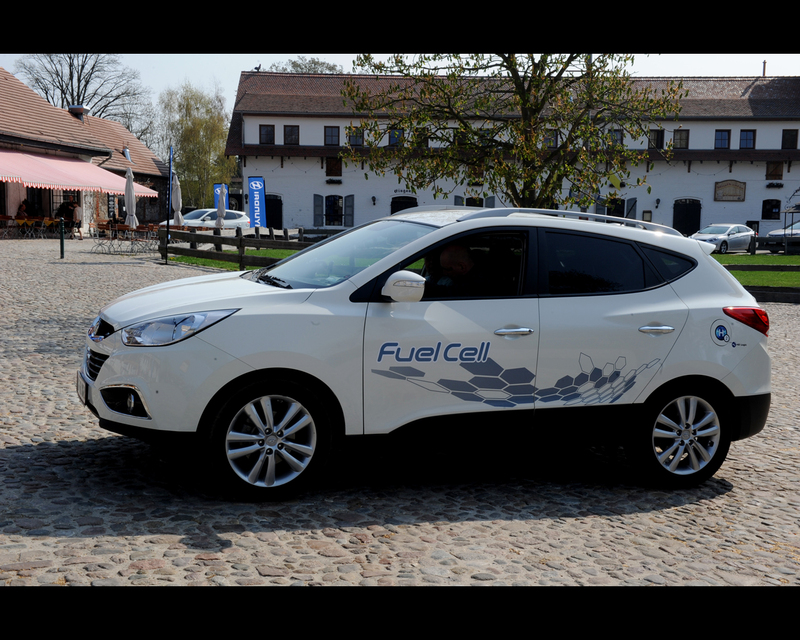 The Hyundai ix35 Fuel Cell is the fourth-generation fuel cell-powered electric vehicle (FCEV) from Hyundai. 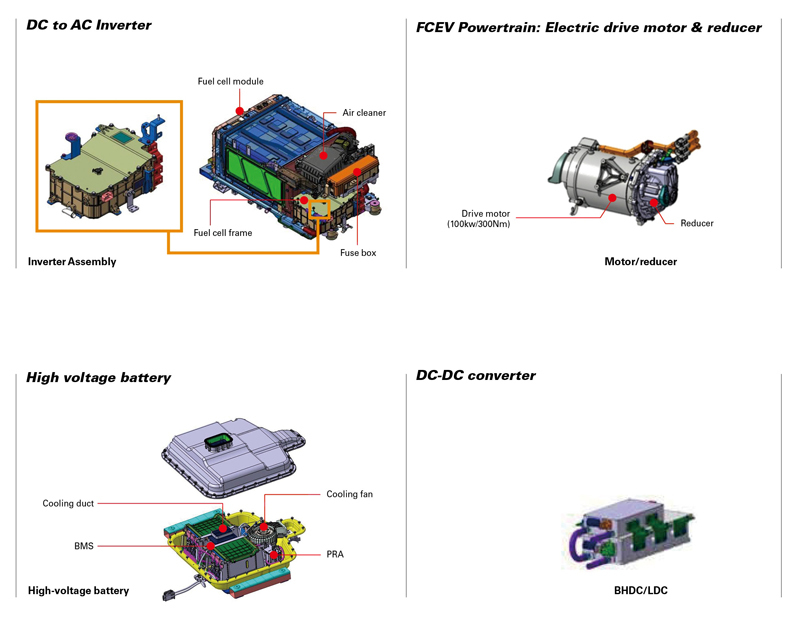 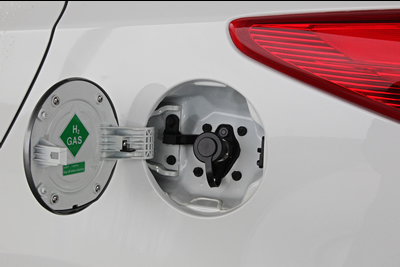 Since Hyundai introduced the Santa Fe FCEV in 2000, the company has become a world-leader in the development of hydrogen fuel cell technology, operating one of the largest fuel-cell research centre in Korea. 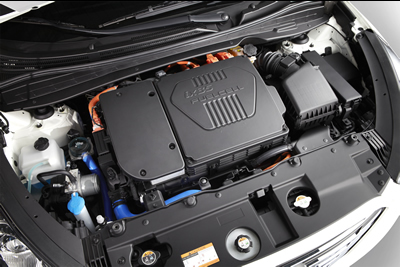 In 2004, the second-generation Hyundai fuel cell electric vehicle – the Tucson FCEV – was introduced, powered by the company's first 80 kW (109 ps) fuel cell. 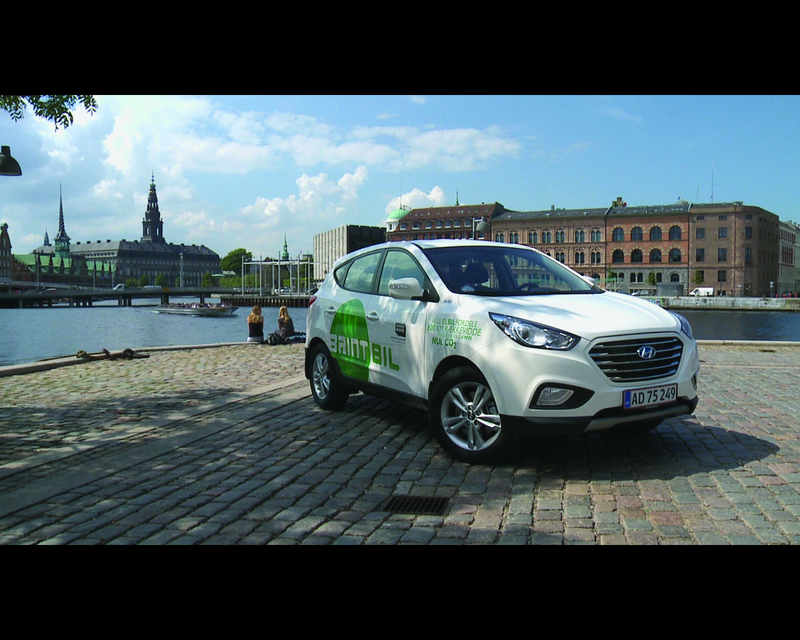 The third generation of Hyundai’s FCEV family, the ix35 FCEV, was a low-volume pre-production model which previewed the assembly-line built vehicle. 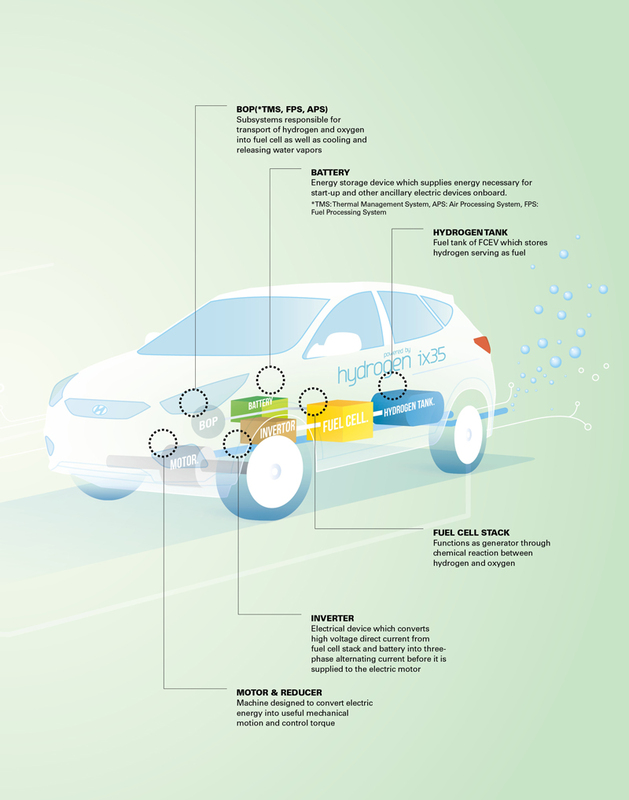 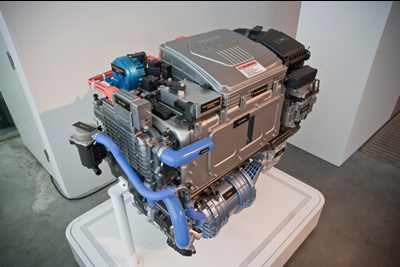 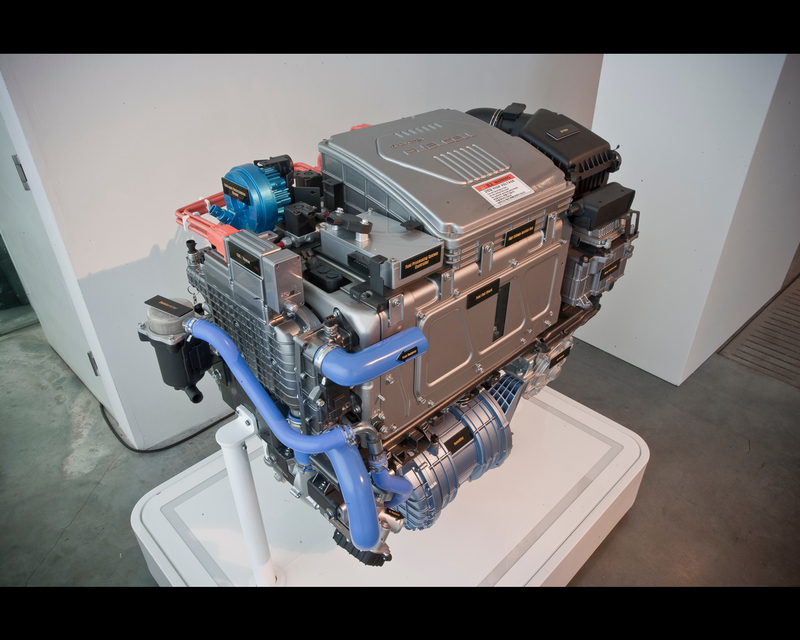 The fourth-generation ix35 Fuel Cell, unveiled in 2012 and ready for fully-automated assembly-line production, represents a truly viable everyday vehicle, retaining the safety, equipment, convenience and performance of the conventionally powered ix35, yet producing zero harmful exhaust emissions. 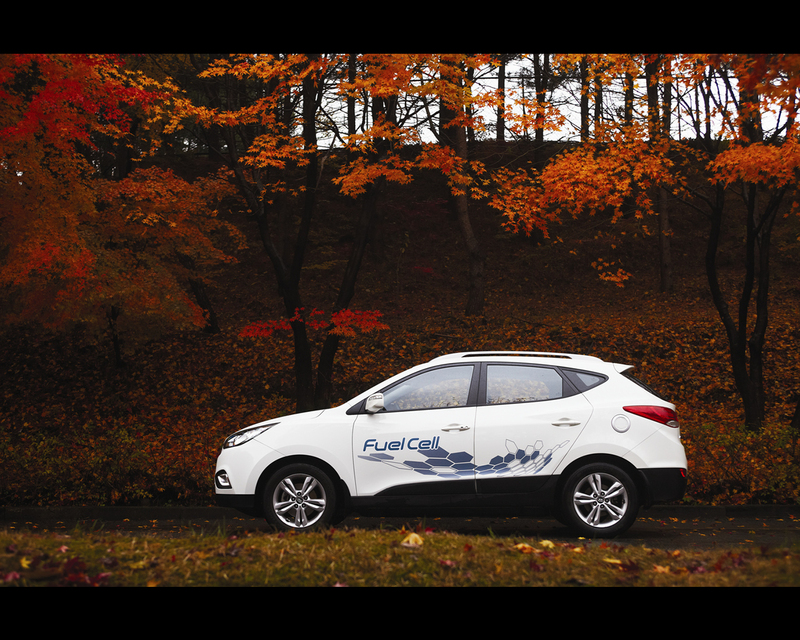 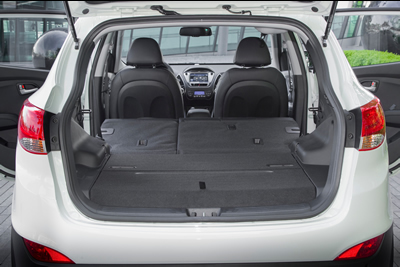 The Hyundai ix35 Fuel Cell delivers large improvements over its predecessor, including a driving range that has been extended by more than 50%, and fuel efficiency gains of more than 15%. 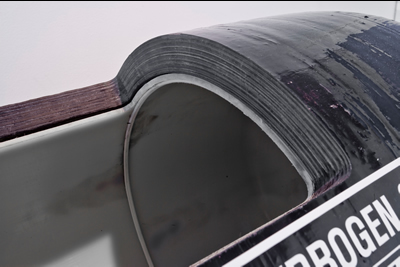 It also costs 80% less to build. 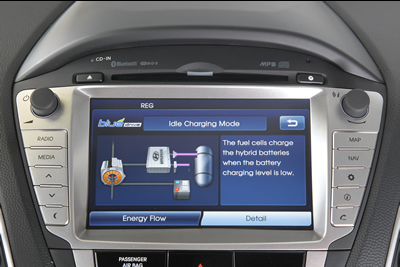 The Hyundai ix35 Fuel Cell is equipped with a 100 kW (136 ps) electric motor, allowing it to reach a maximum speed of 160 km/h. 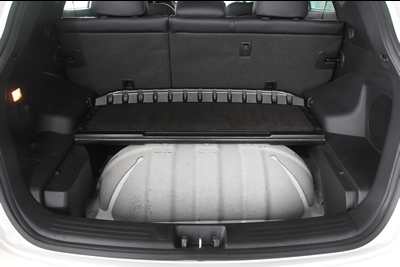 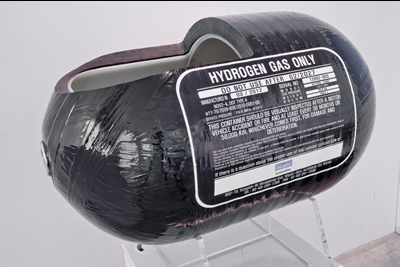 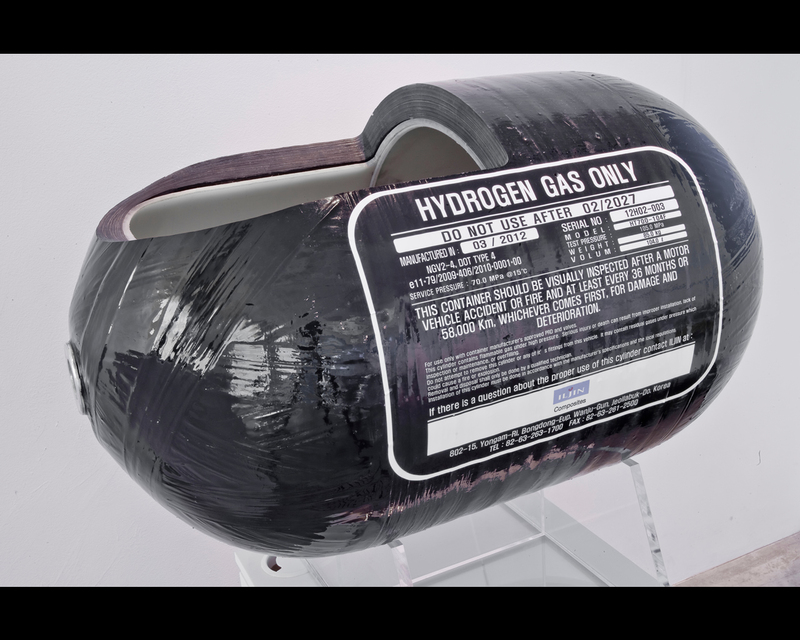 Two hydrogen storage tanks, with a total capacity of 5,64 kg, enable the vehicle to travel a total of 594 km on a single charge, and it can reliably start in temperatures as low as minus 25 degrees Celsius. The energy is stored in a 24 kWh lithium-ion polymer battery, jointly developed with LG. 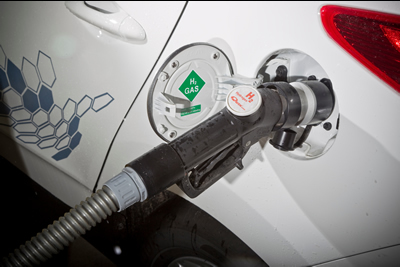 At the cathode, electrons and positively charged hydrogen ions combine with oxygen (from air) creating H2O – water – which flows out of the cell as the only waste product.